Any day now, the 2017 Census of Agriculture will land in the weather-worn mailboxes of farmers and ranchers across the United States. Pens emblazoned with logos for animal health, seed, and equipment companies will fill endless bubbles recording the latest ag data. Will the ink continue the tale of the ever-climbing age of cattle producers? Will the data report, yet again, a decline in the number of producers managing available acres? It won’t in the case of the Cayuse Livestock Company based out of Melville, Montana. The Donald family is five generations deep in ranching the grassy hills and bottomlands abutting the Crazy Mountains. Three of those generations are currently on the ranch, including five families. “My great grandfather was a romantic, but my grandfather was very focused on business,” says Josh Donald, who credits that business sense for the ranch remaining today. Setting aside romantic notions such as tradition and treating the ranch like a business is ironically the solution to keeping the family—all of them if they like—firmly rooted in the industry and valley they love. “When my sons, Josh and Wyatt, and my sister’s daughters were looking to come back to the ranch, we got together and wrote up a vision statement. It declared we would make room for all interested family members on the ranch,” says Bill Donald. the excess summer grass with yearlings,” says Josh Donald. For profit, for life. Crafting a vision statement was one of many ideas Bill brought home from a Ranching For Profit school. When the next generation was ready to join the ranch, they went to the school, too, so everyone was on the same page. “It enhanced communication because it got us all thinking in the same language,” Bill says. The week-long course covered every aspect of ranching from land stewardship to finances to communication and more, anything impacting ranch viability. The family analyzed their current operation as a business. They split the ranch into several enterprises and looked at the numbers. The cow/calf herd, haying, farming, their stocker herd, and recreational enterprises were put under the microscope. Some penciled out. Some didn’t. “It turns out we weren’t making money on haying so we contracted out that job,” Josh says. They shifted their view on their cows from producers of beef to tools for managing grass. Pastures were divided into small paddocks for heavy use and long rest periods. While they were getting the most out of the acres they currently owned, land was a limiting factor in an equation that included supporting multiple families. “If you look at the ranch alone you might say it can only support so many people. But if you start to view it as a business and think beyond the resources of the ranch it opens your mind and your options,” Wyatt says. Stocking up. The Donalds needed steady cash flow to support multiple families. One paycheck per year with a cow/calf operation wasn’t cutting it. 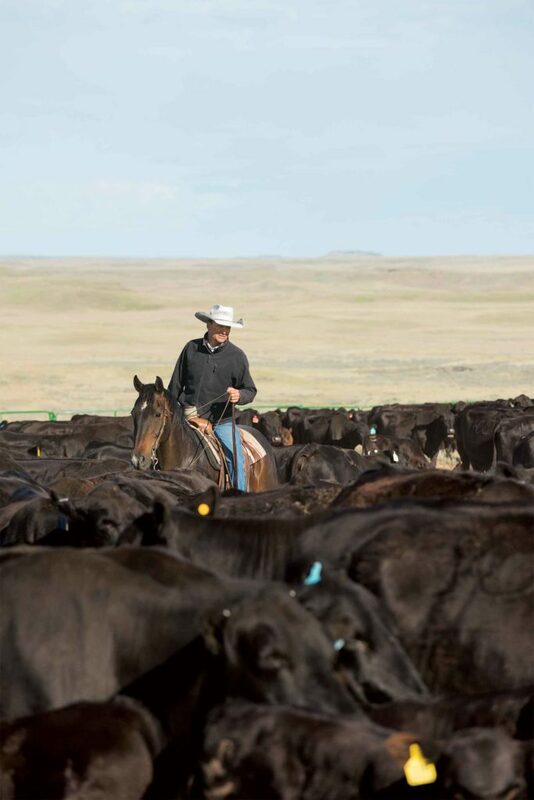 A grazing lease on a Wyoming ranch spurred them in a different direction—one that would help solve their cash flow issues. Financial analysis revealed stocker cattle were the best way to utilize some of their grass leases. “There wasn’t good value in hauling our cows back and forth to seasonal leased pasture, so we started buying stocker cattle,” Wyatt says. 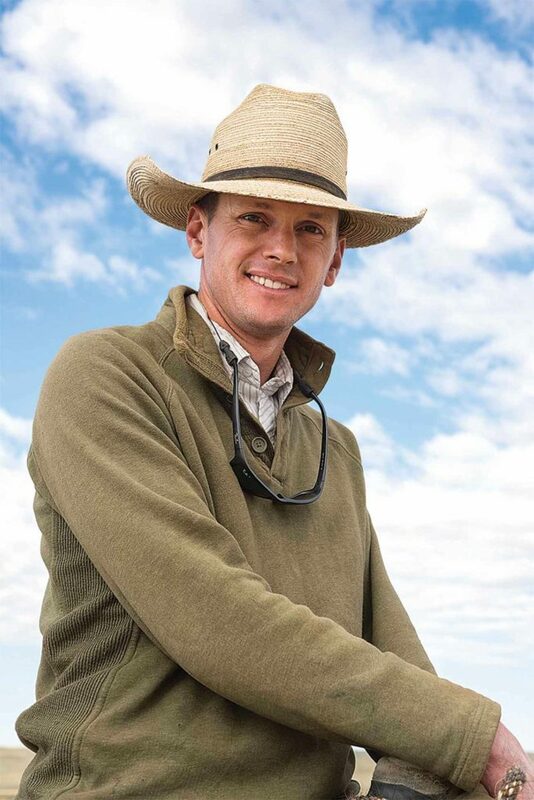 Wyatt Donald, CFO, took an interest in marketing and is responsible for the buying and selling of stocker cattle. to 400 miles from their home ranch. “We aim to stock as many cows as we can winter—we graze year-round—and then stock the rest of the excess summer grass with yearlings,” Josh explains. Stocker cattle are purchased in fall and winter and housed in the nearest of several feedlots the Donalds have built relationships with. Around 8,000 head of stocker cattle are purchased or retained each year. “Success with this model is about volume,” Bill says. “We buy enough calves so we can sort them up, manage them accordingly and sell uniform lots.” Some calves go straight from the backgrounding feedlot to a finishing operation while the smaller cattle are retained to put on grass. These were known risks, though, so the hit wasn’t as hard as it could have been. The family has several risk-management strategies enacted by Wyatt, the CFO and head marketer. “Wyatt is very disciplined about buying cattle that make sense. We don’t buy the premium calves like what we produce in our own herd because they’re worth too much as calves,” Josh says. Instead they buy lighter commodity calves. “We try to stretch out procurement as long as possible. I usually start contracting in June for fall delivery of calves and keep buying throughout the summer and fall. Then I’ll buy weaned calves in the spring, too,” Wyatt says. “We hedge aggressively through forward contracting and utilizing futures.” These tactics helped limit losses when the market shifted. Banking on volume. A stocker operation differs greatly from a cow/calf operation in many ways, but especially in financing. “It completely changed our lending situation,” Wyatt says. A traditional ranch operating loan is paid off to zero every year while a stocker enterprise requires a revolving line of credit for significant amounts of money. “We had to get a banker who really understood the industry. If we were required to pay the loan to zero at a set time we would make decisions for reasons other than what’s profitable,” Wyatt says. Continuing on the business theme, an important aspect is capitalizing on each family member’s strengths.